Lifeguards are warning beachgoers to play it safe when heading into the ocean, after a horror day on the New South Wales coast. 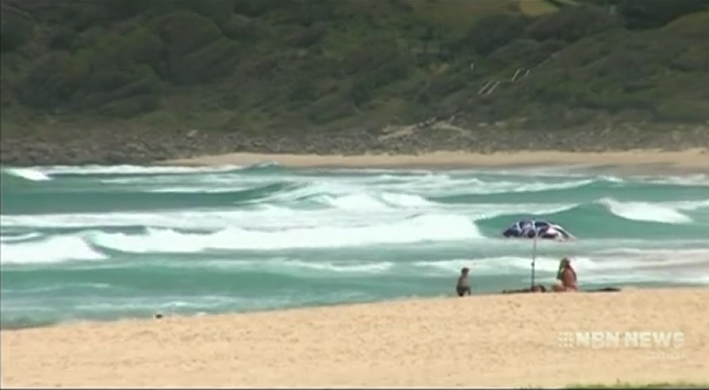 Two people died on Monday, including a man in his 70s who drowned while swimming at Boomerang Beach on the Mid North Coast. A 33-year-old man also died while scuba diving at the Kiama Blowhole. Meanwhile, a man had to be rescued at the notorious Frazer Park Blowhole on the Central Coast. Lifeguards patrolling Frazer Park Beach were called to the nearby blowhole at around 2:30 on Monday afternoon. The man was rescued within 15 minutes and given the all clear by paramedics. “What the incident highlights is the danger of the blowhole in that particular location and we are certainly urging the public to be aware when swimming, walking or fishing throughout the area.” – Patria Harris, ALS Lifeguard Operations Coordinator.